UK-based artist Jessica Lloyd-Jones is brings the microscopic world to life as part of Blinc. 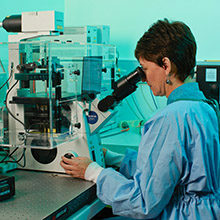 She married science and art as part of her public display Small World, draping the Adelaide Festival Centre in scanning electron micrographs – making the microscopic into something monumental. 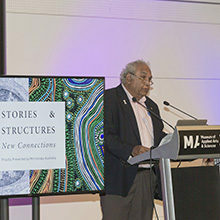 “It will reveal the invisible microscopic world of Adelaide, transporting viewers into another realm – somewhere they’ve never been before,�? Lloyd-Jones says. 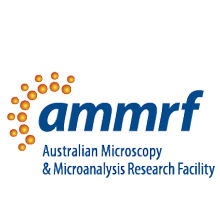 She has been working with the AMMRF at the University of Adelaide to image an array of tiny objects found around the city and its surrounds. 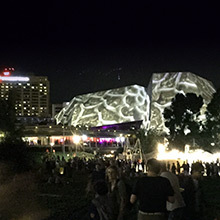 Festival audiences were shown pollen, insects, minerals and fossils – usually minuscule objects, projected massively on the side of the Adelaide Festival Centre. “The geometric shape of the Festival building is almost like a microscopic form in itself – faceted like the crystal structure of some kind of a rock or mineral,�? says Lloyd-Jones.